My son got his first report card on Friday, and it really dawned on me that his first school year is almost over. Life is flying by. Let’s face it: January flew by. Winter is almost over, and from the weather forecast in North Carolina as of late, Mother Nature thinks it is spring. Come on, really? A high of 67 degrees in January. But, this is what I really want to say. You know it. I know it. Life is busy, and we just don’t have that much time on the Internet in between life’s chaos. I read a lot of blogs, and I’m finding myself just being able to hit one or two daily, a handful weekly, and some just monthly. I know life is like that for you, too. To make things simpler for our busy lifestyles, I’m going to update you some on my posts. Let’s call it the Hines-Sight Blog CliffsNotes. I also used to joke about my past career in TV news because our stories were always like “CliffsNotes.” You would need to read the newspaper to get the full story. Earlier this month, I reported on how “Santa Saved Our Marriage.” We are still in love with our smartphones, and they actually make us smarter right on the spot. Will and I went to the Raleigh Times Bar for dinner on Saturday before the N.C. State game. Yeah, he loves that little phone. We were then given the trivial knowledge that for $27 you could see Sir Elton, or maybe not? The seats are probably behind the stage. How on earth would we have survived dinner had we not had this profound knowledge at our fingertips? Just fine, I’m sure. 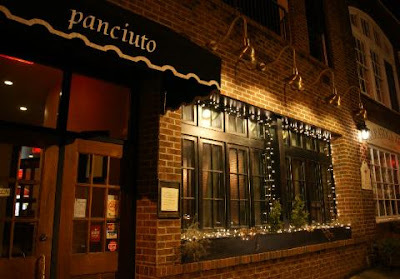 But while at this restaurant, we did set up another dinner with my mother-in-law for February at Panciuto in Hillsborough, N.C., via a few emails. We’re going to drive an hour to eat at this well-ranked restaurant outside of Chapel Hill, N.C., and we think it’s going to be so worth it. 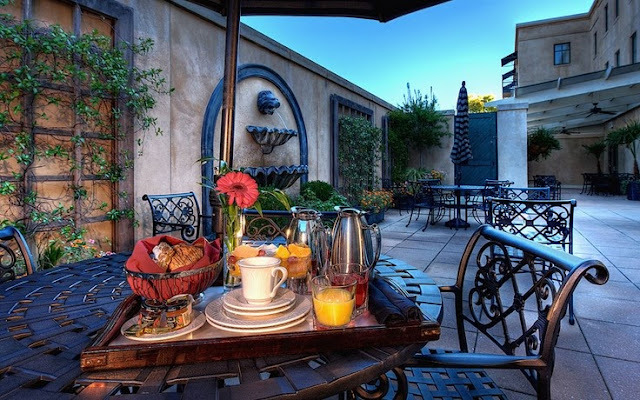 The owner/chef, a North Carolina native, has received many national accolades as of late. It would have been a tragedy to wait two more days to make the reservation had we not had our phones. Someone could have nabbed our reservation time slot. Do you think? 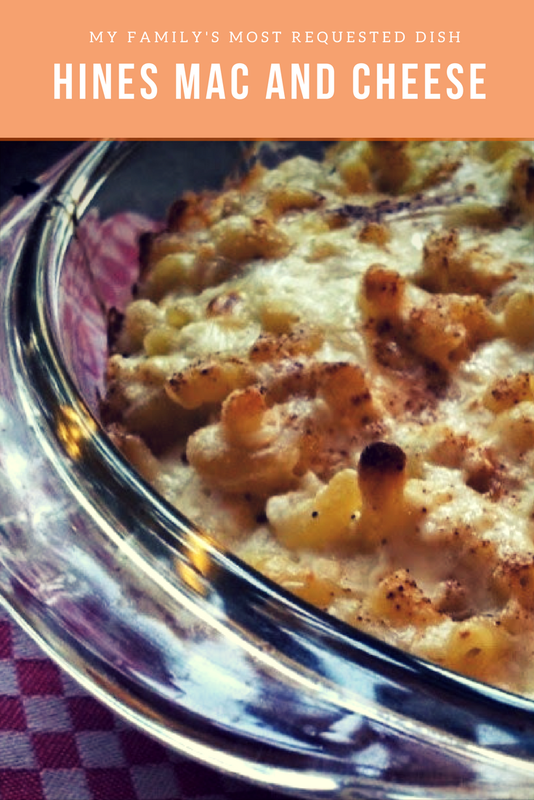 I cannot wait to try all the new recipes that have been linked up with my post, “Let’s Eat Some Mac and Cheese, Y’all,” this month. There are some great ones, including my own scrumptious macaroni and cheese. Daphne from Flip Flops and Pearls and I will have the next linkup Feb. 24. In the meantime, I do put recipes in the news feeds on Facebook each Friday, and you can also check out this great savory pie recipe from earlier this month. It’s my way of giving you more kitchen clutter. Right? I still haven’t done anything about that, either. I’m really trying to hold to my goals in the post, “Let’s Burn Some Butter.” It’s hard to choose exercise in the morning, but I’ve stayed on target with my goals — most days. 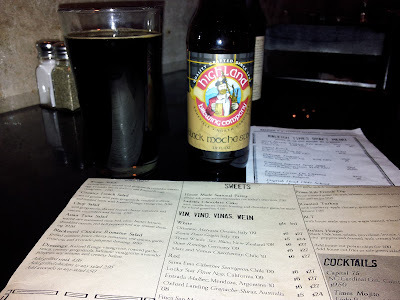 I have not cut back my food intake, though, and from the photo you saw from the Raleigh Times Bar, I still have a weakness for some high-calorie items. With that said, I have lost about two pounds this month, only if I continue to drink lots of water, even if my glass of water is not as pretty as in the photo above. If I slack off on water, I’m like a bloated bullfrog, and those pounds plus more are back on the scale. In travel news, almost everyone said they would plan a beach vacation over a ski vacation if they were planning a trip right now. Of course, I did make you choose between two Four Seasons Resorts. I mean, really, how could you possibly choose? I gave you tons of tips this month on using Tripadvisor, which I hope will help make your vacation planning easier. See you back in here in February, and for the record, we’re still giving up our leisurely Saturday mornings, but are bringing Krispy Kreme doughnuts home each week, and apparently Baby Diva sensed why I was not ready for potty. She’s lost all interest. And of course you know where to find me every Wednesday night now, and, hopefully, I’ve learned some lessons in parenting along the way. I also hope that Dee in Charlotte is doing some Southern cooking. She won the cookbook from the post, "Recipes from the Best Place to Live in America." And that’s January’s CliffsNotes! Congrats; In just one post, you’re caught up now. Join me on Facebook, Twitter, Google Friends, or get my posts via e-mail. I'm also on Google +, but that one is my newest learning curve. My recipe is just Southern, down-home goodness in every bite. It’s certainly not low-calorie, but I give you permission to eat it guilt-free, at least now and then. When I met my husband, I was 31 and had just moved to Raleigh. He was my neighbor. He lived in a very neat condo with beautiful plantation shutters. A pool separated our condos. I would stop by his house on my way home from work because it was on the way to my condo, and sometimes, if I was lucky, he would cook me dinner. He had quite a collection of family recipes in his little recipe box. Some of my fondest memories are sitting in his clutter-free condo where he would do all the cooking. Fast forward 12 years, and we are surrounded by our children’s clutter, and I feel as if I never leave the kitchen. But one thing has remained the same. 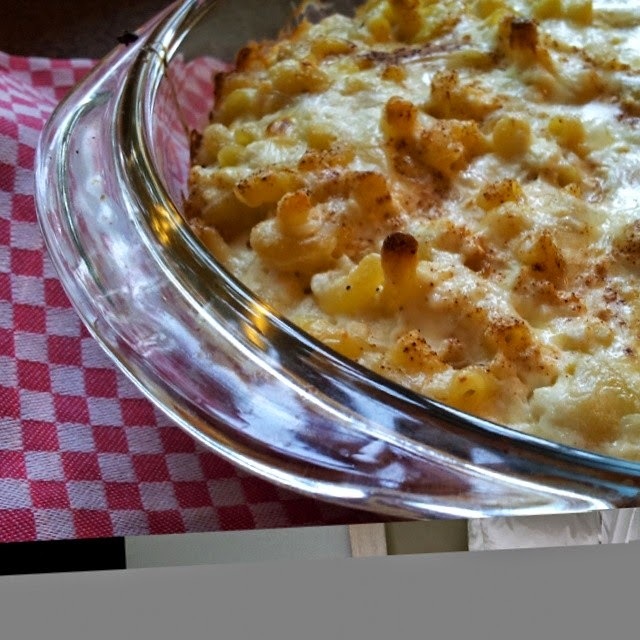 We still make his homemade macaroni and cheese. It’s our go-to side for any dinner that involves guests. This one-dish works well with BBQ, hamburgers, or even as a holiday side. I make it. He makes it. But I did learn something recently from him when he made it for Thanksgiving. He says it is better if you do not buy pre-shredded cheese, and you shred your own. After tasting it, I think he’s right. My kids love it. Enjoy! I promise that if you make it once, you’ll be making it again and again. Cook macaroni as directed. Mix all other ingredients together and add to macaroni. Bake at 350 degrees for 45 minutes. Let's Eat Y'all! And yes, I know there is nothing green on her plate. Some days are like that! I am very loyal to my TV shows. Golden Globe winner “Modern Family” is the first show I watch off my DVR each week. If you don’t have a DVR, it comes on live on ABC every Wednesday at 9 p.m. Not too late in the evening, but not too early, either. Last week, the sitcom dropped a bomb, so to speak, that stirred up a lot of controversy. Lily, the 2-year-old daughter of gay parents Cam and Mitchell, innocently said the “F” word several times on the show. The bleeped-out F word was really the word “fudge.” The 4-year-old actress who plays Lily never really cursed, but through bleep and blurry editing, the writers, once again, hysterically portrayed how parents deal with real-life situations. Cam, the lovable and flamboyant character, giggled as soon as he heard it and had to walk away. Mitchell’s mouth flew wide open. That is the humor in this storyline. How do we react as parents to the unexpected? Every parent at some time or another has had to deal with this sort of thing. I am not proud of it, but I have had my own giggle moments. No one has dropped the F-bomb in my house yet, but just the other day I inappropriately laughed when my son made a remark. His dad and I were in my daughter’s room after their baths, and he ran into the room while we were dressing her. All he had on his body was a hooded-dragon towel. He stated, “My pee pee is like a little person that is always cutting in line.” Of course, he positioned his body as if there was indeed another little person in the room, cutting in line. It caught me off guard. Like Cam, I giggled. My husband, who has more control, told him to get dressed and quit clowning around. He passed. I failed. As parents, we deal with the unexpected. Sometimes good! Sometimes bad! This show captured it beautifully, and more importantly, it is just a show to provide adults who are also parents with some much-needed laughs. Parenting is a tough, hard job, and we just need a good laugh after the kids go to bed. The Parents Television Council criticized the show by saying that more and more children will be trying to emulate that behavior, so they were against this plotline. A no-cuss club was, too. Just because the show has kids in it does not mean it is a show for children. First off, it comes on TV on a school night. It runs at 9 p.m. Kids shouldn’t be watching this show in the first place. My thoughts: Kids, go the fudge to bed. It’s late, and it’s Mom and Dad’s TV time. What do you think? Are you with me or against me? 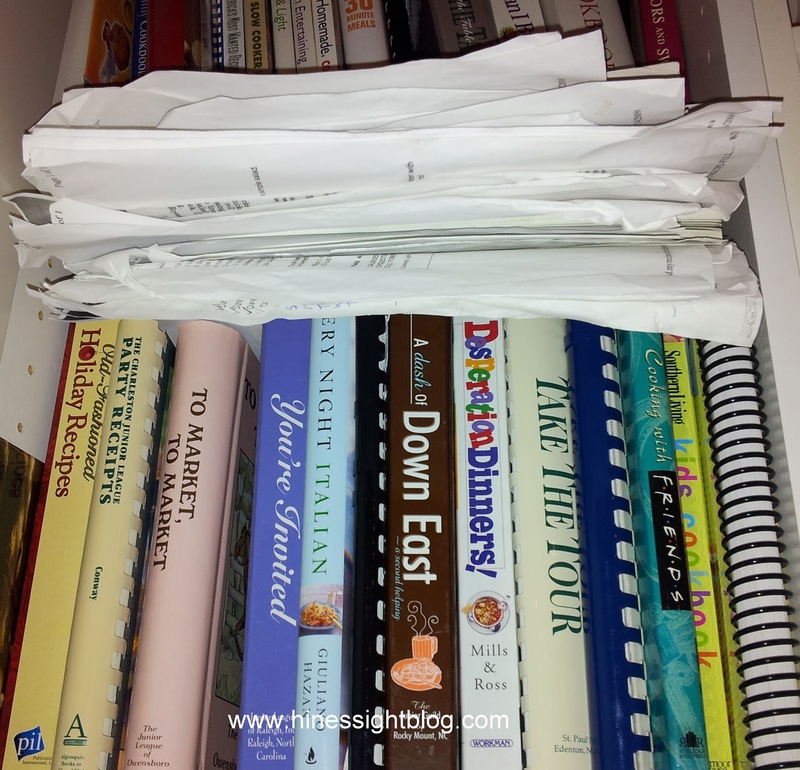 Leigh’s Frivolous Friday: Do you have Kitchen Clutter? Clutter is a dirty word in our house, but yet it intrudes in our home like it is a welcomed guest. We have it everywhere, especially in the kitchen. My husband would be a minimalist if he could, but two small children and an unorganized wife have kept him from his dreams. I plop the mail and magazines on the counter island. Kindergarten newsletters and preschool art comes in at a rapid pace daily, and we are slow to go through the masterpieces. I talked about the art dilemma last year but still haven’t done my coffee table book yet. Maybe by the time my son graduates high school, it will get done. Anyway, this is not working. Collecting recipes and stuffing them in books are not good ideas. I don’t even know what recipes are in here now, and no wonder my husband says he never sees the same meal twice on our table. He’s being a little dramatic, but there is some truth to it. My friend Amy is much better organized than I, and she is planning her meals one month at a time now. I was at her house not too long ago, and she was having “Leigh’s fish” on Thursday. Since she is organized, she pulled the recipe for me. The recipe was from 2009, when I was pregnant with my daughter. The baked fish dish did not have tomatoes. Apparently, giving birth that November wiped out some brain cells because I had totally forgotten about this great recipe. 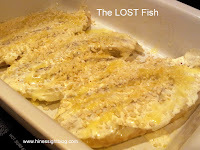 And here was a simple and easy fish recipe that got lost in my kitchen. I found it sandwiched between papers and whipped up the entrée this week. It's good. I won't lose the recipe again. My goal is to do something about this clutter. Recipe notebooks are a good way to organize. Some companies will even customize books for you to add a little personal pizazz. I cook a lot. I read a lot of recipes, and I try a lot of recipes. I can’t blog about every one of them, but many are worth sharing like the fish dish. Also, since I’m not a food photographer, my dishes don’t always look that great in photos, but they do taste good. I’ve talked about some of the meals I’ve made on Facebook, and some of you have remarked that you want the recipes. As a result, I’m going to start posting recipes that I think are winners in the news feeds on Fridays. You will be able to find those on my Facebook page under notes, and I will be posting the fish recipe there today along with a few others. I am choosing a specific day of the week so that you will know to look for new recipes each week. And finally, get ready to browse through a lot of scrumptious recipes on Friday, January 27. 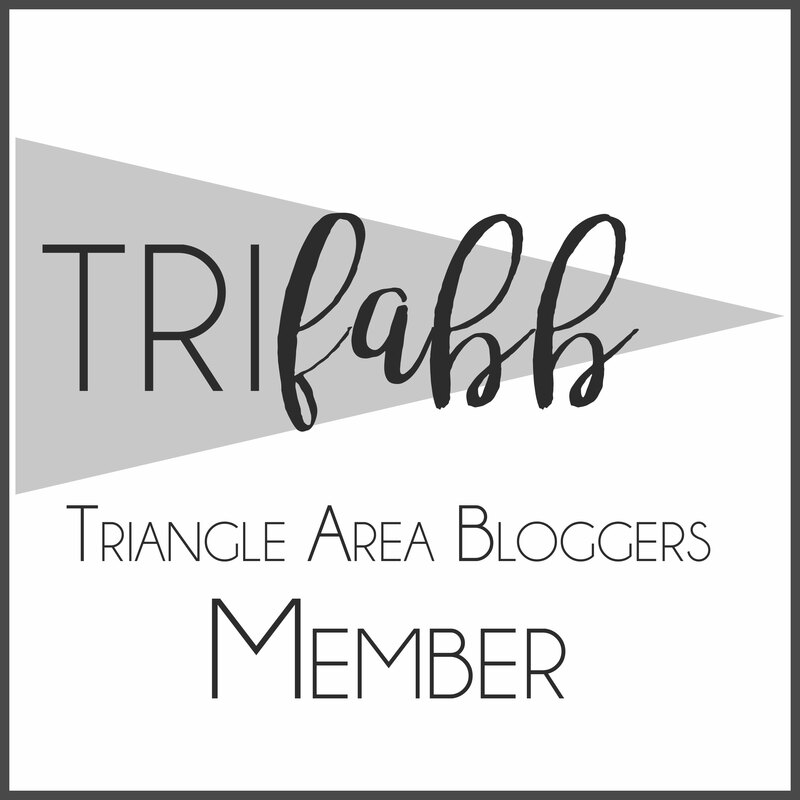 I’m teaming up with Daphne from Flip Flop and Pearls to co-host, “Let’s Eat, Y’all.” If you are a blogger, link up with us. If you don’t blog, then I hope this linkup will be a good new source for you to find recipes. I’m sure I’ll be collecting some new recipes, so I better start getting organized. How do you organize your recipes? How do you deal with kitchen clutter? Leisurely Saturday mornings are a thing of the past in our house this winter. I guess you could say, for us, we’ve hit a new phase of parenting. Many parents have gone down this road with their children well before the age of 6, but we decided to wait until our son expressed an interest to play ball before joining any sports leagues that involved, you know, a weekend commitment. 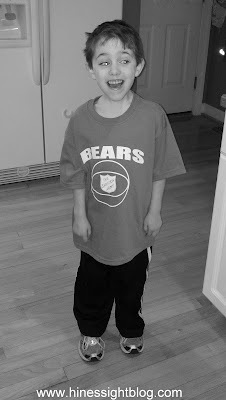 Sure, he took a sports class here or there while in preschool, but we didn’t commit to what I call “weekend sports hell” until he showed a desire to learn more about a sport on his own. As two middle-aged selfish parents, we certainly didn’t want to give up our Saturday mornings just to give him something to do on a Saturday morning. In our minds, he could find something to do at home at 8:30 in the morning, and it didn’t involve us getting dressed and going anywhere. We really wanted to make sure he had an interest in a sport before we made a vested weekend commitment for sports. Apparently, the time has come. He is finally showing an interest in basketball. Of course, when we take him to collegiate N.C. State basketball games, he shows an interest only in the pretzels at the concession stand. Despite his love for food at games over the games itself, he has still been consistent in expressing his desire to play basketball. We signed him up to play with a great community center basketball league. He had his first game at 8:30 a.m. last Saturday. Let’s just say he has a lot to learn. He basically stood on the court, not moving, with his arms stretched out waiting for the ball. And at one point in the game, he tried to play defense by dancing with his opponent. It was the fastest quickstep I’ve ever seen, and I’m not quite sure the other little boy knew what was going on in front of him. I’m not joking. I think I’ve seen some of those same moves on Dancing with the Stars. If he keeps that up, he may be known as quickstep Hines. Or who knows? He may be off being the team mascot and dancing on the sidelines. 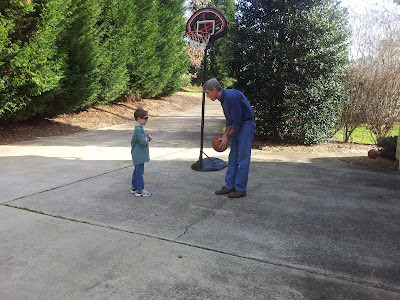 We can hope that his basketball skills will one day soar, and we’re encouraging him as much as we can. With all kidding aside, the good news is that he has just as much to learn about basketball as everyone else on the team. I’m happy that he says he likes it, and he looks forward to practice on Tuesday and his next game. I hope this interest and enthusiasm continues throughout the season. I will be very unhappy if we have to push him to continue the season. One thing is for sure; he will finish out all eight games because we must teach him the lesson that he made the commitment to the league, and quitters aren’t winners. He doesn’t have to play next year, but he does have to finish what he started this year. So, no matter what, we’re saying goodbye to a leisurely weekend morning. In the meantime, I also have to get used to these new Saturday routines myself. I think crockpot cooking is great for practice and game days to save me some time, but I did not a get a game-day win last Saturday. I fouled out BIG-TIME. Let’s just say a crockpot won’t cook dinner unless it’s plugged in. Like I said, it was an early start to the day. Wonder what walking the Hollywood red carpet is like? I bet all of George Clooney's ex-girlfriends miss these public moments that they'll never be able to attend again. There are so many people on the carpet when you see it on television. It looks a little chaotic. 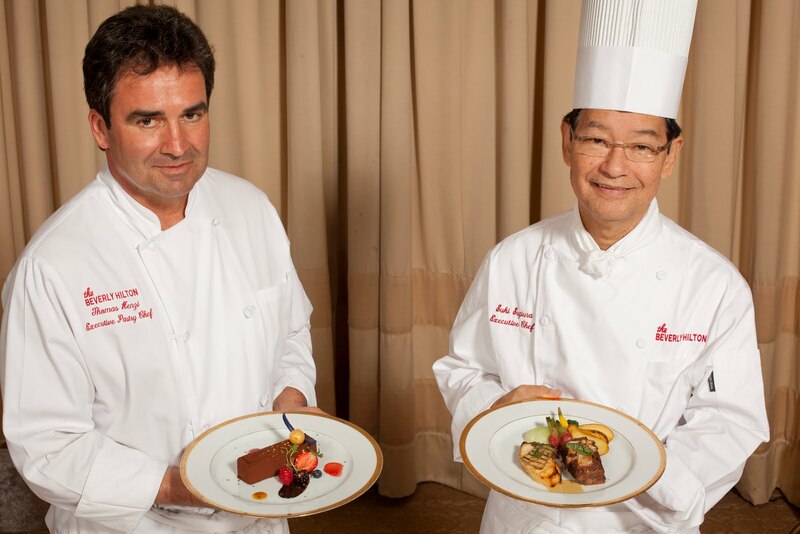 As Hollywood Royalty mingled on the red carpet at the 69th Annual Golden Globe Awards on Sunday, the real stars of the evening were the Beverly Hilton and the hotel’s Executive Chef, Katsuo “Suki” Sugiura and Executive Pastry Chef Thomas Henzi. 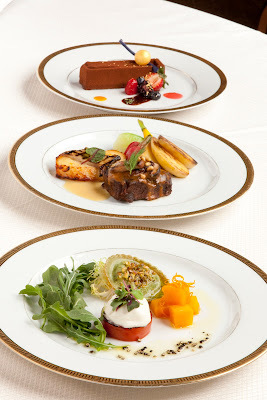 For the past 37 years, this luxury Beverly Hills hotel has hosted the foreign press awards, and Chef Sugiura has prepared the menu for the Globes for nearly a decade with the assistance of 50 chefs, 110 culinary staff, 50 bartenders, and 250 servers. Executive Pastry Chef Thomas Henzi created a dessert for his second show this year, and according to the press notes, “the celebs always ask for seconds of his dessert.” This must be the one night of the year that stars must not worry about calories. The stats are amazing for this glitzy event. The hotel becomes a city of nearly 7,000 people: 1,300 celebrities and entertainment industry executives dined prior to the live awards show telecast on the universal cuisine in the international ballroom and nearly 5,000 additional guests dined on themed globes cuisine at the simultaneous viewing and after parties. So Brad and Angelina dined on an appetizer of pistachio crusted pistou ravioli with wild arugula, smoked tomato, kabocha compote and burrata; a combination entrée of miso and sake lees marinated Pacific sea bass with grilled king oyster mushroom and braised prime short rib of beef with porcini pine nut herb ragout in a light cream of sherry wine ginger tamari sauce, roasted fingerling potatoes, candy striped beets, baby bok choy and yellow baby carrots followed by a dessert trio of chocolate delice almond crunch terrine with acacia honey, caramel and fresh berries. Now you know why I love luxury hotels so much. Wow! 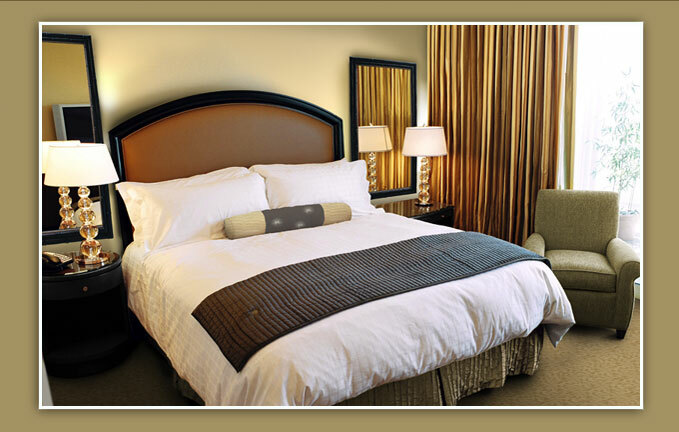 The Beverly Hilton also offered a special Golden Globe package for guests. Guests could spend two nights at the hotel in a beautiful room like this. They were given a boxed lunch, and had special seating for the red carpet arrivals. Typical room rates average about $400 per night, but something tells me that this package would be much, much more. Don’t you think? I have to honestly say that it would be fun to be at a red carpet event as a hotel guest. You get to look at the stars and their gowns just as soon as they step onto the carpet. Sometimes, it’s easier for me to name the “I don’t like what they were wearing list” over “best of the night”, but I felt these celebrities looked especially beautiful. I like Sarah Michelle Gellar, and watched her red carpet interview. She stated that her 2-year-old chose this dress. To me, it looks like her 2-year-old spilled paint all over mommy’s dress. Sometimes, designers have great looks. Monique Lhullier disappointed here with Sarah's dress. Did you watch the Golden Globes? 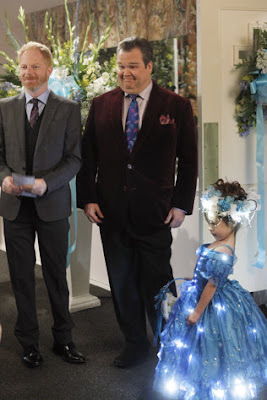 I was very excited about "Modern Family" winning best comedy. I love that show. It's the first show I watch off my DVR list. What were your favorites? When I was in the news business, I was always a thorn in my news director's side. He was a hard news junkie, and I loved "feel-good" features with a capital F.
I loved the creativity of features, the thrill of meeting new people when they were actually happy to see the news truck coming, and the fact that I was covering a story for the news that was not controversial or negative in nature. Mr. News Whiz thought my little feature ideas were frivolous news stories, but by the end of the week, I would wear him down and I would get my wish. He would allow the assignment editor to give me some type of feature to end the newscast on Friday so the anchors could laugh and say, " That Leigh is having fun. Goodnight! Have a great weekend everyone. Thanks for keeping it right here on Channel 3." He allowed this for two reasons. He was so tired of my constant complaining that he would finally give in to me. By Friday, there is so little news to cover in a small television market that the producers are always looking to fill air-time. Well, I loved my "Frivolous Fridays" in the newsroom, and truthfully, it's a big part of who I am as a person. I like to talk about a lot of things that some people may find well, frivolous. As a result, I have created the first of what I hope to be a Hines-Sight Blog staple this year. I'm calling the posts Leigh's Frivolous Friday, and they will appear once in awhile. Now, get ready for a very important question. If you were planning a vacation in the next three months, would you choose ski? Truthfully, I would take either vacation, especially if I stayed in a Four Seasons Resort. The luxury hotel chain unveiled a new website and trend report this week. As a result, I've lost many countless hours staring at hotel destinations. But to be fair, I've asked you what you would choose this very minute. It's only fair that I answer my own question. Right now, as my toddler screams at me for a paci that she shouldn't have, I would choose a beach destination, which I believe would be perfect as an escape from the daily grind of being a mom. It would be nice to sit by the pool, and relax. I'm not looking for an active vacation right now. I would prefer to do absolutely nothing!!! Also, I've stayed at the Four Seasons Whistler, and it is a delight. We went in 2005, B.C...that is... BEFORE CHILDREN. 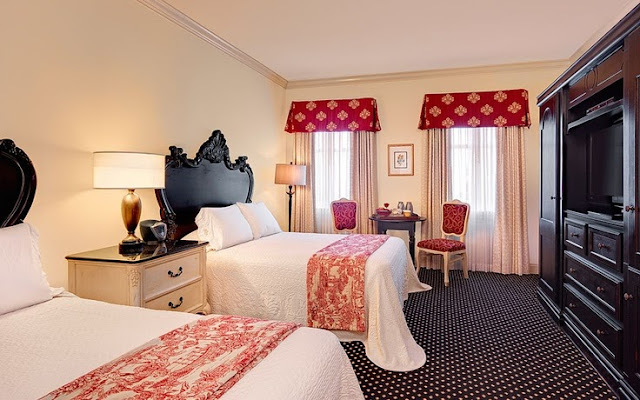 I'm not a skier, but I love a great hotel in the middle of a charming ski town. Also, now that I have children, I love how Four Seasons caters to the smallest guest. Four Seasons Whistler does not disappoint in this area nor does Nevis. I guess the best of both worlds would be Four Seasons Nevis this week, and Four Seasons Whistler the next week. Don't forget that I'm giving away a wonderful Southern cookbook from Raleigh. The deadline to enter is Jan. 16. Also, mark your calendar for Friday, January 27 for Let's Eat, Ya'll! with Flip Flops and Pearls and my blog. 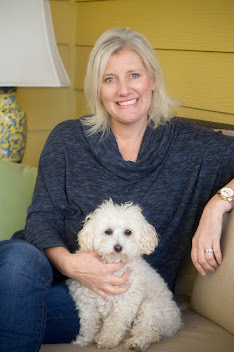 Daphne and I are joining forces to bring you one big monthly link-up filled with great recipes. Have a great weekend, and enjoy dreaming about your next vacation at a Four Seasons Resort. If you say no, then they look at you as if you aren’t doing your job. Yeah, well. We’re smarter now! Well, then, give her a bag of raisins, and stand back! I admit that I, too, was eager for my first child to use the potty. I had a stubborn one on my hands, though. As much as I tried when he turned 2, he wouldn’t even wear a pull-up, much less sit on the potty. Out of desperation, I may have even given him an M&M to try. But in hindsight, his stubbornness actually saved me from a long window of time filled with potty-training headaches. Two days after his third birthday, the motto in my house was no more diapers. The first two days were the pits. I’ll keep it clean here, but you know what rhymes with pit? It was that bad. By the third day, he got the hang of it and was accident-free from that day forward. He trained himself. He didn’t sit on the potty 50 times a day eating an M&M. He learned to listen to his body and did it quickly. Things are a little different now with child No. 2. She sees everyone using the potty in our house, and she wants to, too, on occasion, and let me emphasize on occasion. It is not consistent, and she usually wants to do it at the most inopportune times on the planet. I’m pouring myself a nice cup of tea, and I happen to glance at her taking off her diaper in the living room. I turn in a panic and RUN. She says, “Pooh! Pooh!” And I yell, “No, No, No!” and grab her before she pulls off her diaper. My, what invisible poohs you have, my dear! The toilet is completely empty, and I will further add that her diaper stays empty for several more hours. She didn’t have to pooh-pooh right then any more than I had a million dollars in my pocket. Sure, these may be little signs that the real act is to come soon enough, but I now know we won’t be really successful until she can communicate with me and listen to her body. She has to know the “feeling,” or else I am wasting a lot of energy and time cleaning up after her. First-time parents, you’re going to gasp and frown at me for saying this, but potty training opens a whole new world of problems for you. Diapers aren’t as bad as you think. So raise your glass, and salute the diaper. Those absorbent things you think of as nuisances can be your best friend. Because in diapers, you can enjoy that glass of wine in a restaurant, but if your potty-training child is in underwear, then be ready to make a mad dash to the public restroom as if you have Montezuma’s Revenge. You also better hope that there is at least one stall empty or that the one-stall bathroom is not occupied. And if you don’t get there in time, well, we all know that’s the pits! Car rides will never be the same, too. Every potty-training child needs to pee-pee at least five minutes after you leave your house. It’s a rite of passage, apparently. My 2-year-old may think she’s ready, but I’m certainly not ready yet. Almost. But, not quite yet. And on another note, just to make you a little hungry for some southern type recipes, here are some recipes you will find in the "Sharing Out Best" cookbook I'm giving away on the blog this week: Party Ham Biscuits, Shrimp and Grits, Squash casseroles, Brunswick Stew, my husband's favorite cornbread, Red Velvet cake, Aunt May's Applesauce cake, Pig Pickin' cake, Banana pudding, and my dad's famous Holiday buckeyes. 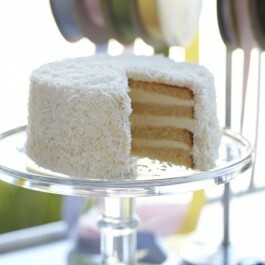 Don't forget the coconut cake! The deadline to enter is Jan. 16. I’ve known it all along, but now the whole world knows it. 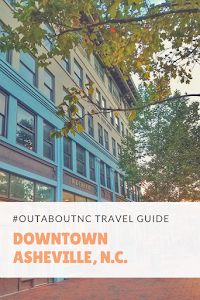 Last fall, Bloomberg Businessweek ranked Raleigh, North Carolina, as the best place to live in the U.S.
You can learn about how they came up with their criteria for best city here. I won’t bore you with the details, but I will add that North Carolina actually had four other cities in the top 50 list: Durham, Greensboro, Winston-Salem, and Charlotte. I’ve never lived anywhere else but North Carolina, so I’m a true Southern girl. This weekend, I had dinner with several of my friends, all of whom are not Southerners by birth. Unfortunately, one of my friends no longer lives in North Carolina and was just here for a short visit. We talked at length at the downtown Raleigh restaurant Buku about what she missed about our State. Besides the bright colors we wear in the South, she has missed a lot of the food. As the three of us ate our global street food, where the only thing Southern that evening was my accent, Kim said she would end her visit on Monday by eating a piece of coconut cake from Hayes Barton Café and Dessertery before getting back on the plane. I learned from my friends that coconut cake is rarely found outside the South. “Whaaaaaaaaaat?” as I dragged out in my Southern drawl in disbelief. I knew we had some of the best coconut cake around, but I had no idea that coconut was that rare outside the South. I don’t think I could live anywhere else now but North Carolina because I certainly can’t turn down a piece of coconut cake anytime I see it on a menu. And if I’m at a church function, I make a beeline for a Southern woman’s homemade coconut cake. They are the best. I just feel so badly for those of you who can’t find good coconut cake, but you don’t have to wait any longer. I am going to give away today a fabulous local church cookbook that has the best coconut cake recipe in it. Trust me! It’s so moist, which is a must for coconut cake, and I personally know the Southern lady who submitted the recipe for publication. She’s a sweet Southern grandma who reminds me of my own grandma when it comes to her baking. “Sharing Our Best” is a great, simple, Southern community cookbook. I even have a few of my own favorite recipes included in the publication. To enter to win, just leave a comment. The winner will be drawn at random. The deadline to enter is 11:59 pm on Monday, Jan. 16. Please consider joining my Facebook page, twitter or subscribe through e-mail to stay up to date with posts. 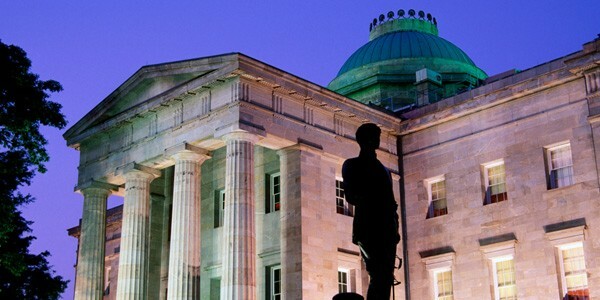 No matter where you live now, get a taste of North Carolina and America’s Best City. Good luck! *This giveaway is now over. Congrats to Dee in Charlotte for winning the prize.